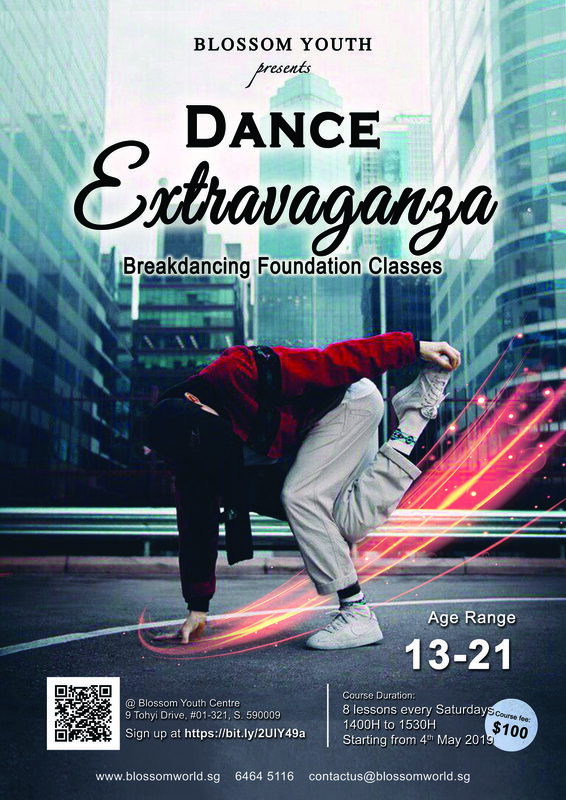 This course is designed to engage youths and to impart basic fundamental dance skills to the participating youths. 1) Students will learn basic breakdancing techniques: Footwork, Freezes, Basic Powermoves. 2) Students will be able to execute simple choreography and breakdancing movements. Only 10 spots available for sign up! Course is conducted by a professional dance instructor, Leonard Ng.